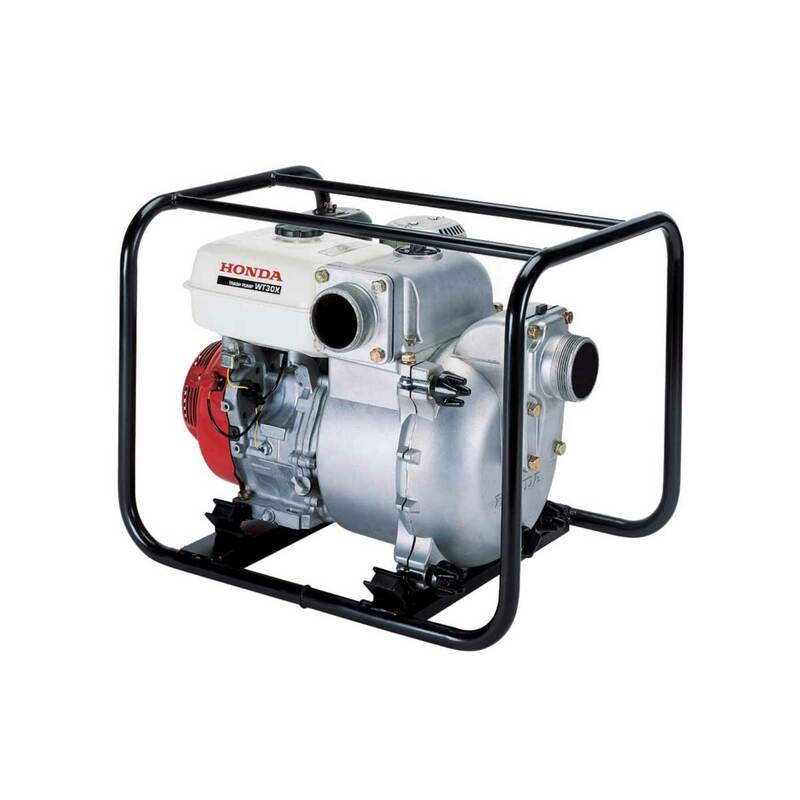 Honda centrifugal pumps are ideal for use in a wide variety of applications such as agricultural, construction sites, de-watering, sprinkler systems, fire fighting, boating and general home use. 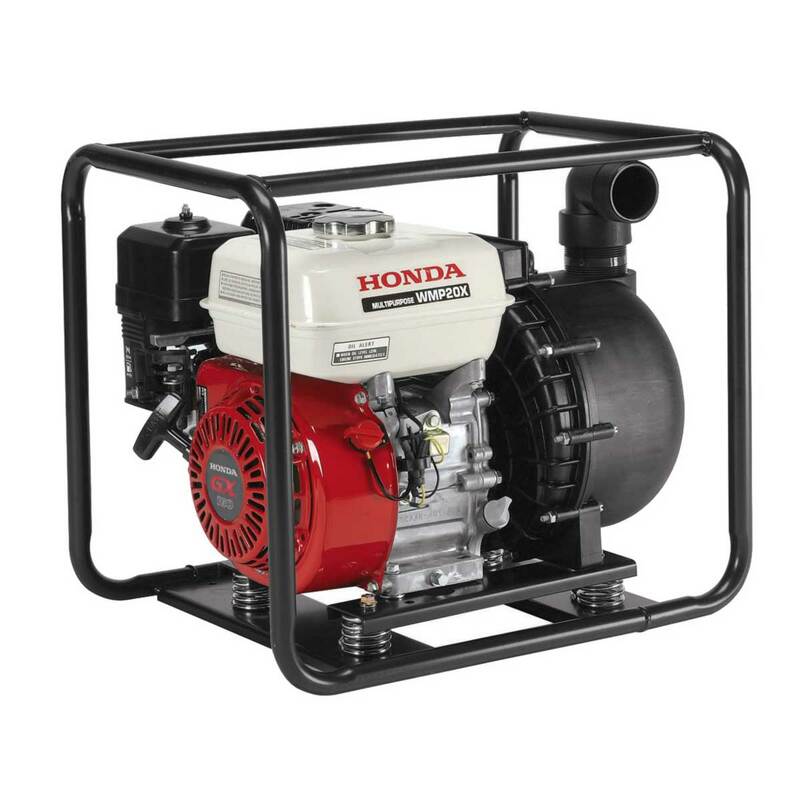 Honda even provides a pump for some saltwater and chemical applications. 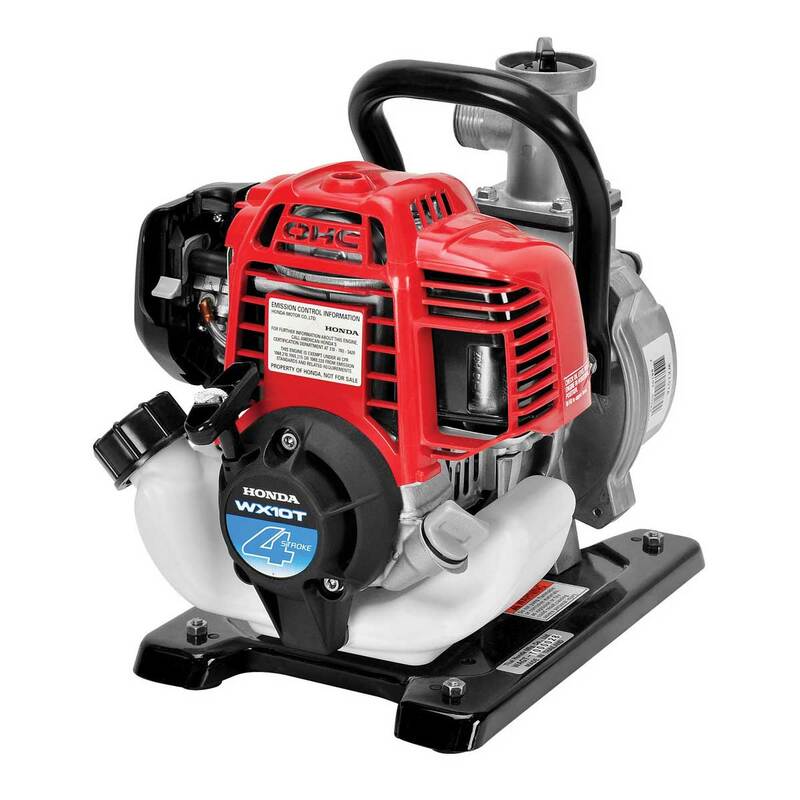 Honda's centrifugal pumps are designed to be reliable, easy to start, easy to prime, easy to maintain and are built to last. 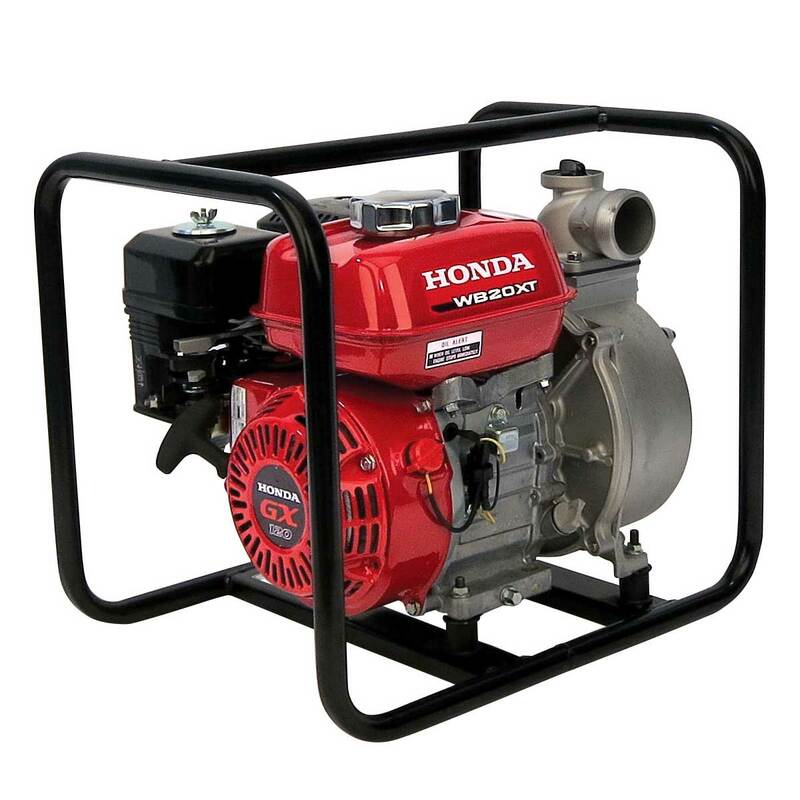 Honda has provided pumps to the world market for more than 20 years, and engines (the heart of the pump) for more than 30 years. 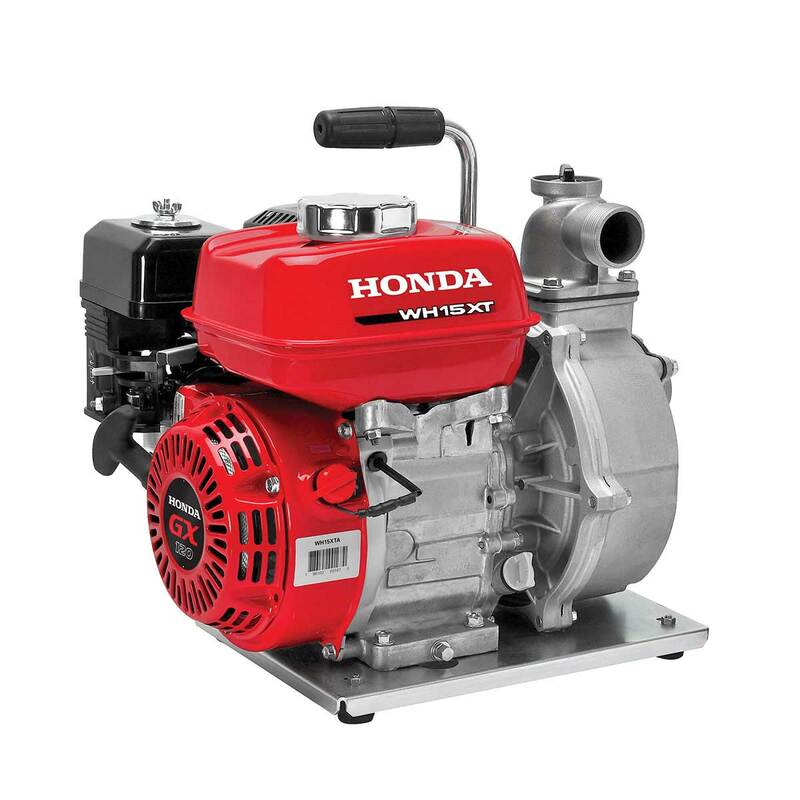 Honda's reputation for high efficiency, long life engines and high quality pumps has made them the favorite in rental and commercial applications. 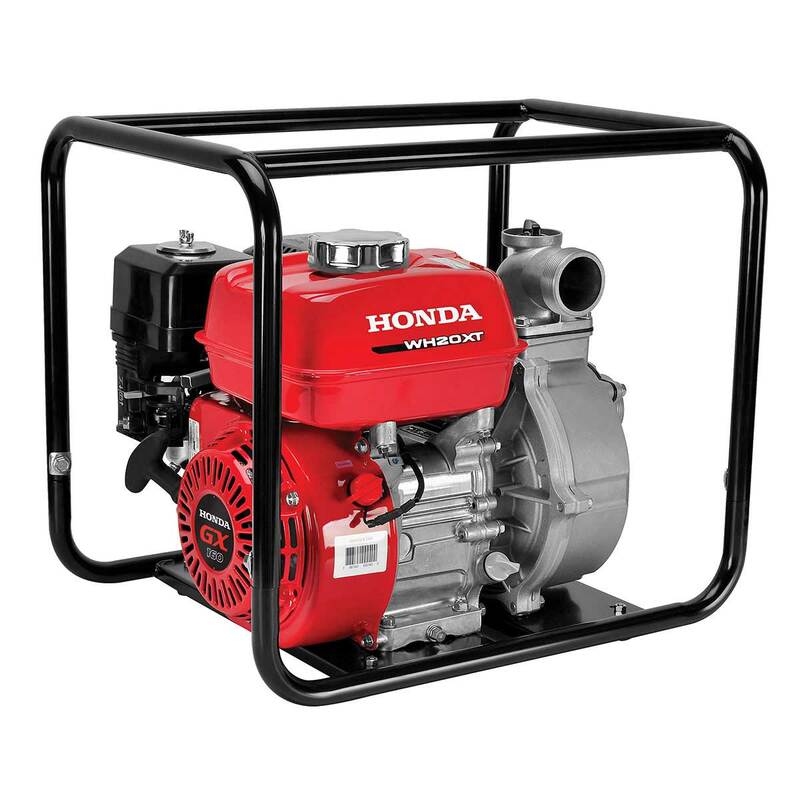 Honda uses both OHV and side valve engines in their water pump line-up. 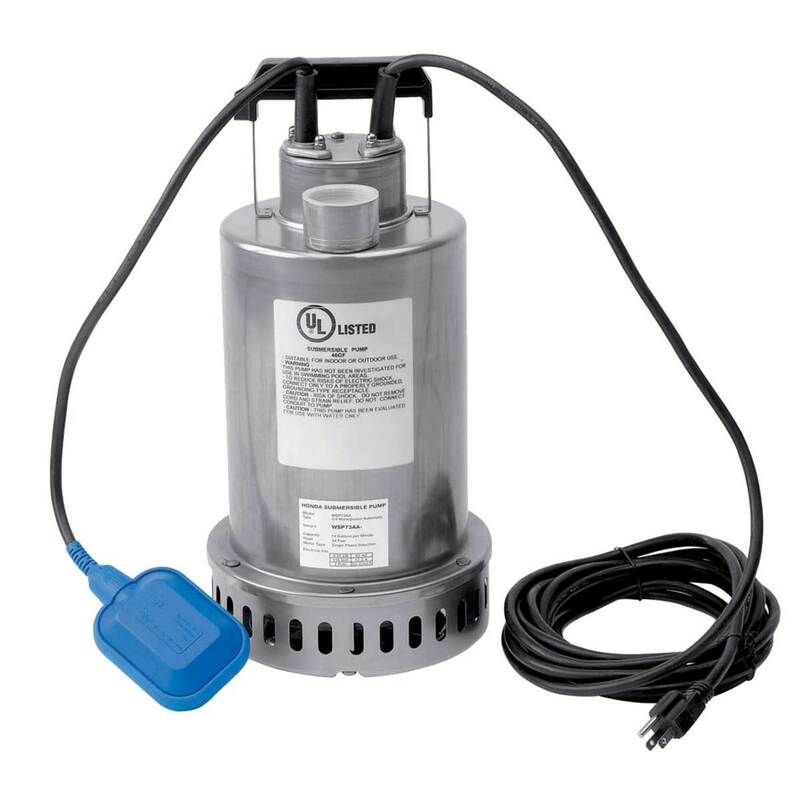 Transistorized pointless ignition systems are virtually maintenance free. They offer easy starting under all conditions. Mufflers are the quiet type, with heat shields covering the entire muffler for added safety. Easy starting is accomplished by automatic decompression that reduces the pulling force required when starting the engine. 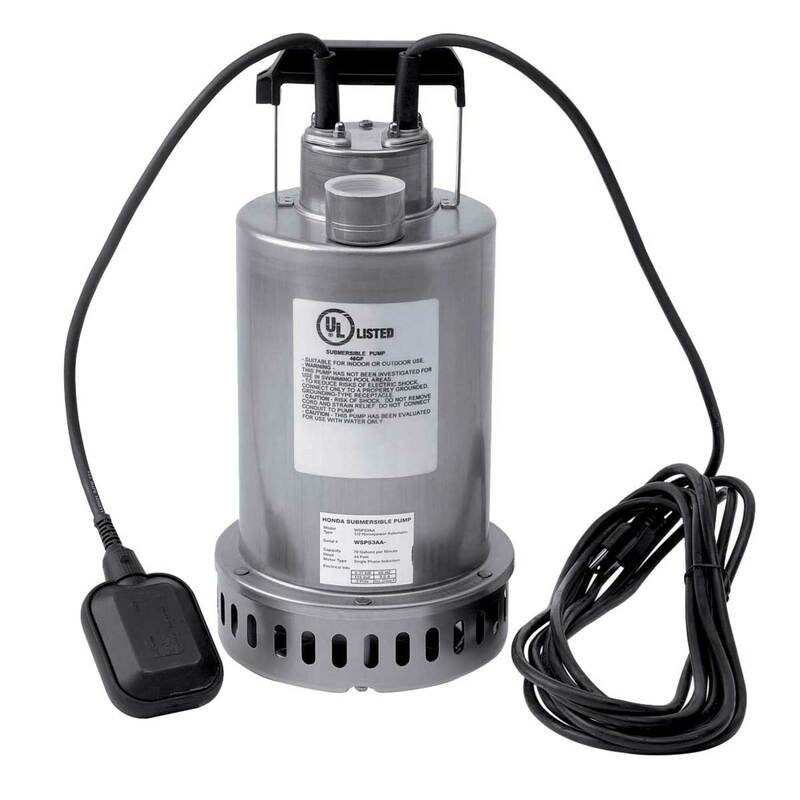 Aluminum pump housing reduces the overall weight of the unit. 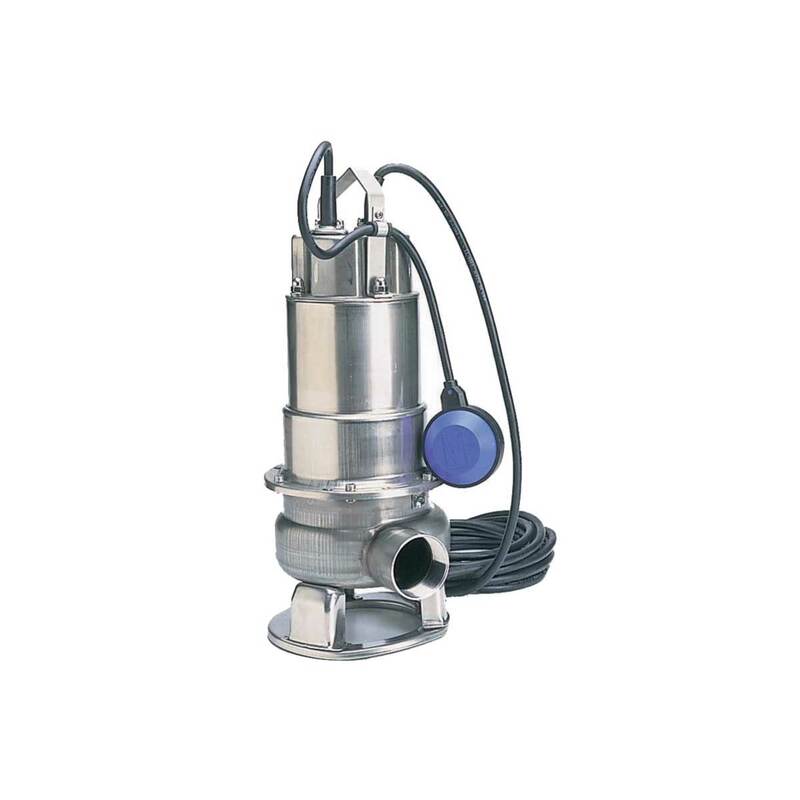 The inlet flapper valve allows the pump case to be filled without the water flowing out of the suction opening. This reduces the priming time. The flapper also prevents siphoning after the engine is shut down. 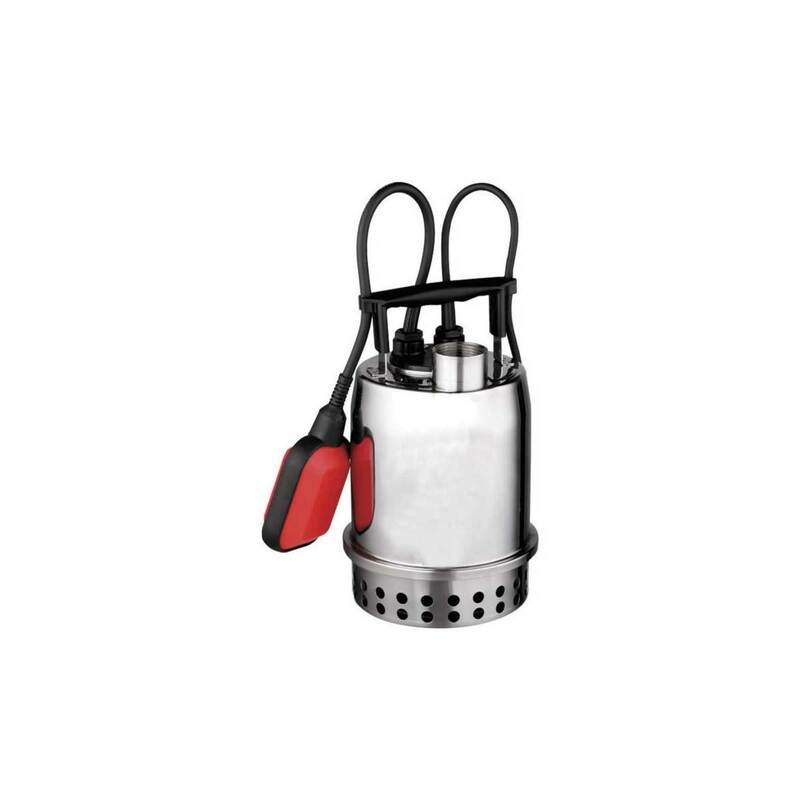 The pump case drain and fill plugs are a special plastic. They don't corrode to the case and they don't swell. They are easily removed with your fingers. O-rings back each plug for a better seal. 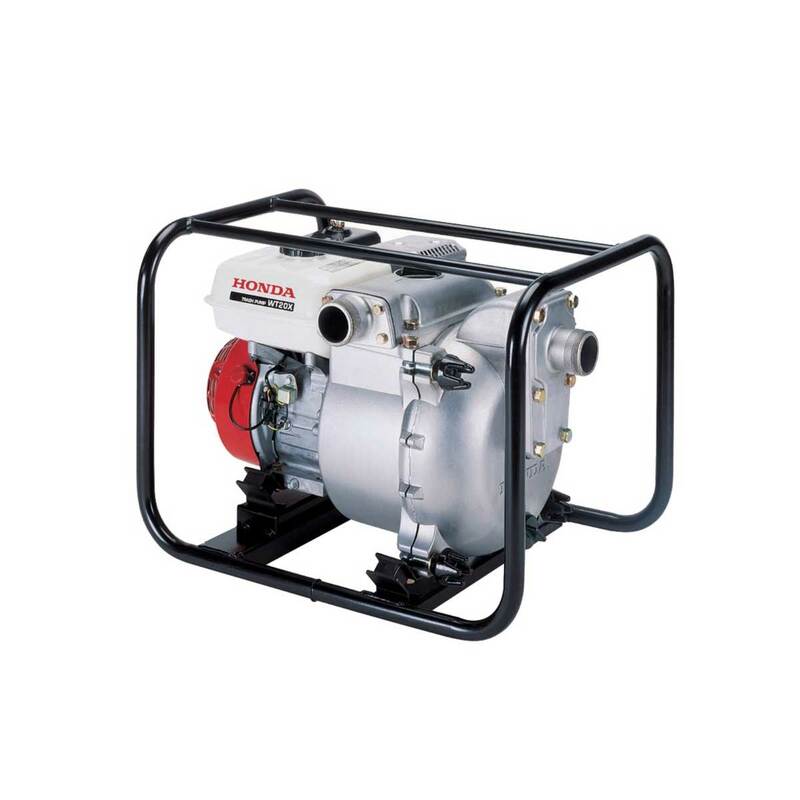 Most Honda pumps contain a heavy-duty cast iron impeller and volute to resist wear. 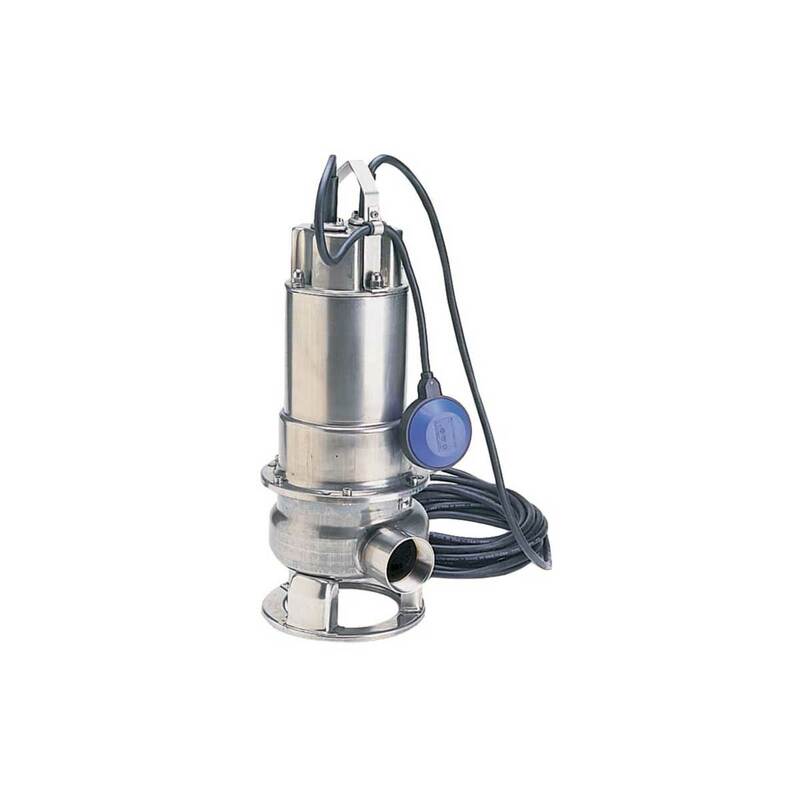 Additionally, the impeller is shimmed for easy impeller-volute clearance adjustment to maintain maximum pump performance. 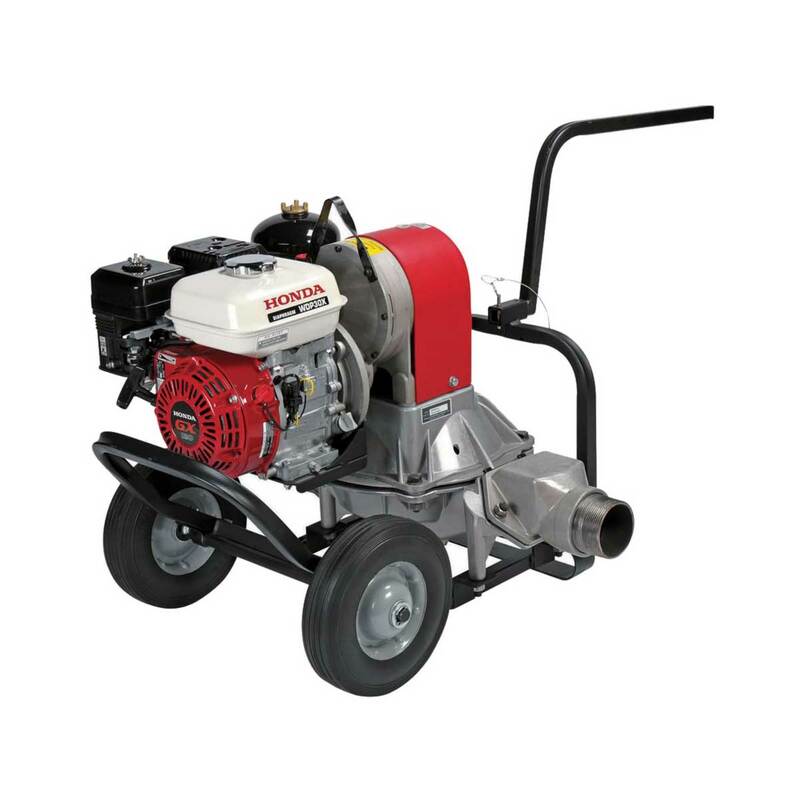 Honda WT series trash pumps also feature a replaceable stainless steel volute wear plate. Most general-purpose models contain a durable and easy-to-service ceramic-carbon mechanical water seal. WD and WT models offer silicone-carbide mechanical seals to better withstand mild abrasives. 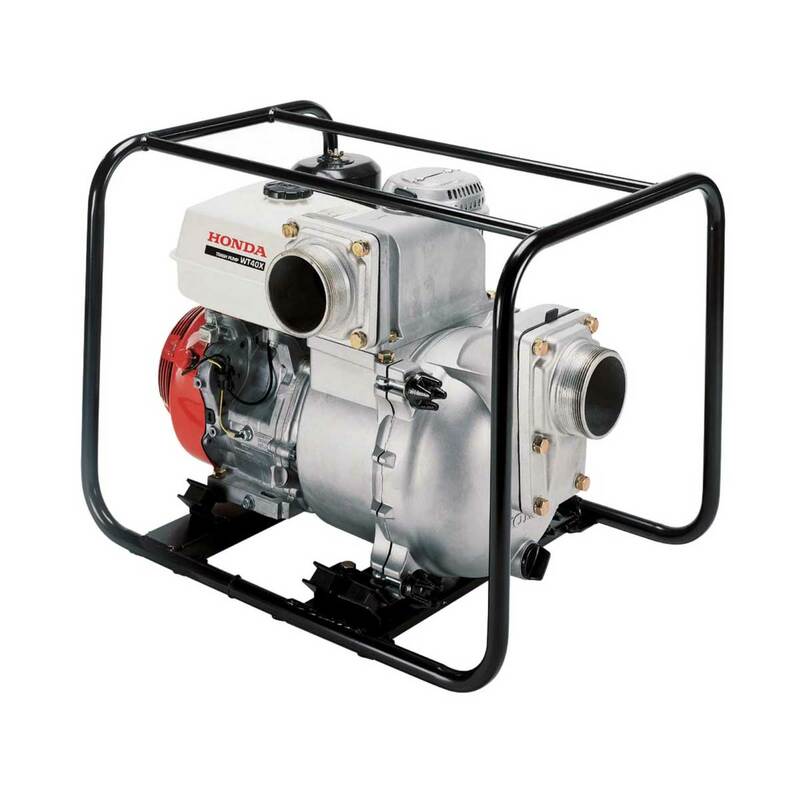 Most models also include a full tubular frame to protect the pump from damage. The frame also provides convenient lifting points. 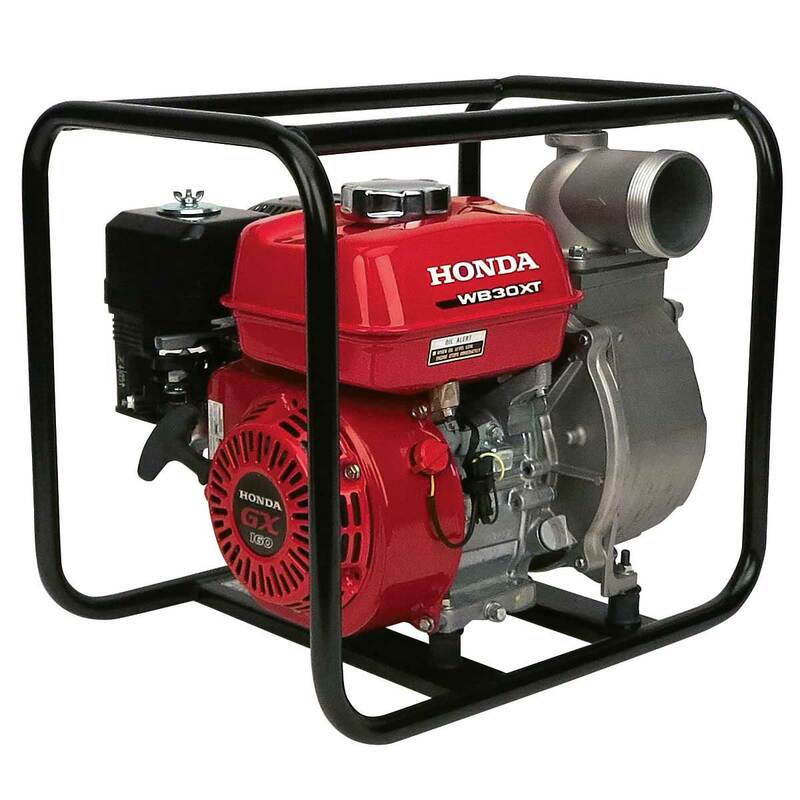 All gasoline-powered pumps are equipped with Honda OHV commercial grade or OHC premium residential engines. 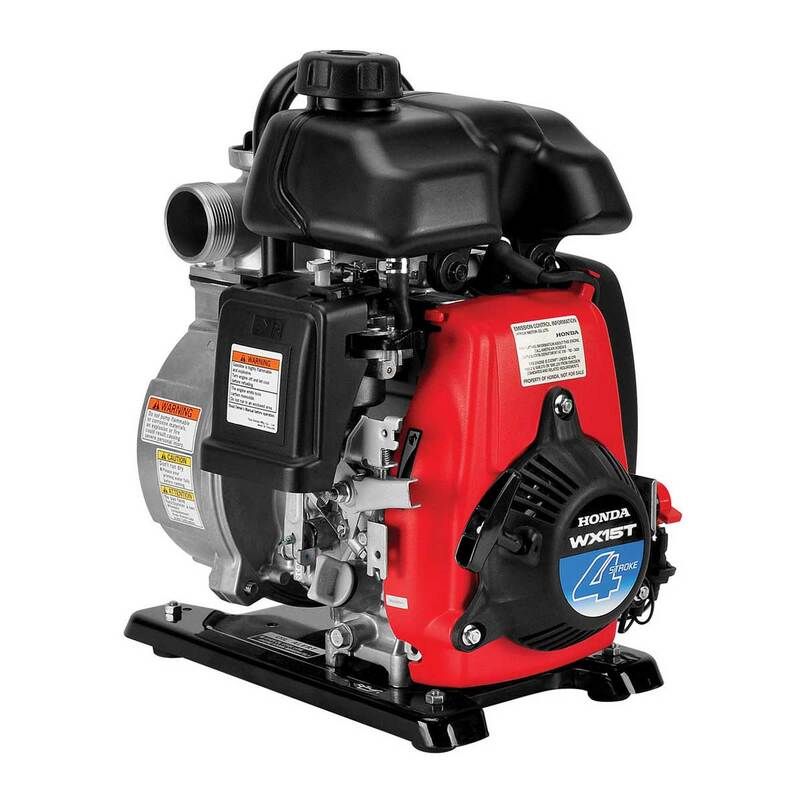 All meet EPA and CARB emission levels and most carry a two-year limited warranty for non-commercial use.